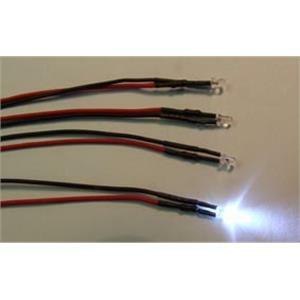 A pack of 4 Flashing White LEDs on 200mm leads fitted with resistors to allow direct connection to 12v DC. Fitted with Red and Black leads. The Red lead indicates the positive connection. The flashing rate is 1.5Hz ( 3 flashes every 2 seconds ).